The Minimalist Physical Therapist: Using Yoga as Medicine? Instead of clinging to things (which we can’t keep anyway) – I decided to opt-out. What started as a personal transformation quickly led to a professional one. I got rid of all the things I didn’t need: unhealthy, processed, antibiotic and chemically spiked food, junk TV, a dead-end job, and plenty of material possessions I had accumulated over the years. Once I did that, I realized that my life had long been hurt by more than just “things”: but also people. Ouch. Clearing your life of destructive relationships isn’t easy, because sometimes those harmful people – are in your own family. My journey to become a minimalist happened in slow, often painful, stages. Being a minimalist demanded a new way of thinking. I wanted health. I thought I’d “been healthy” throughout my 20’s, but in retrospect, I realized how poor my health and well-being had been. First, I had to believe in myself and my abilities. That was difficult, especially in a culture where women still make $.77 cents (at most) to every man’s $1.00. Second, I had to make hard decisions about destructive relationships. Ultimately though, I went from being a passive victim of abuse to an emboldened woman who stood her ground. I am not saying simplifying your life is easy. Despite my progress it still isn’t easy for me, especially operating as a mother-of-three-CEO-physical-therapist-educator in an outdated patriarchal economic model. But the health and happiness transformation brings, is worth the effort. YOU are worth it. This is where my journey in helping others begins. Once I realized I was strong enough, I wanted to help others realize they were strong enough too…through the medicine of yoga. The concept is simple. I am a physical therapist. In 1998 I was a new physical therapist but had already spent years studying yoga and working in the athletic training and sports medicine professions. I frequently used yoga in physical therapy and sports medicine for people in the greatest need – those with chronic pain. And gradually, I ended up with all the “difficult” chronic pain patients on my caseload. The overwhelming majority of these people were women, but next in line, were those who had served or were currently in the military. The bottom line is – yoga was helping these patients MORE than just physical therapy alone. I am a better therapist when I use yoga as athletic training, with manual therapy, and with physical therapy. But also – yoga works better when it is combined with western therapies and medicine. Medicine AND yoga can both be better, if they would embrace each other. If the two join hands, health care can improve in America – because medical providers would be advocating for their patients to receive holistic, compassionate care – a tenet of using yoga as medicine. Let me share my story with you, albeit the very brief version. It wasn’t very long after that “aha” moment that I quit my job. Yes, quit. But not physical therapy altogether; instead, I walked away from my “safe” position in conventional medicine. This new path of pursuing yoga as medicine was and is still, risky. I was the primary breadwinner in my home at the time and now I no longer had my salary or benefits. What’s more, I also terminated my insurance contracts so that I could give patients what they needed, not what insurance mandated. Then, I set out on my own. Yes, it was risky and yes, I was scared. However, I have learned that you cannot embrace the future if you are still clinging to the past. There was no way that I could take hold of any blessings that were to come my way – if I was still hanging onto dusty old relics. Why? Because I knew that yoga worked. I didn’t need any research to tell me so (although there is plenty to support yoga); I had seen it with my own two eyes. For years I “kept my head down and worked hard.” I didn’t complain about insurance limits or caps – but on that “aha” day – I looked up. I saw that if health care was going to change in this country, then I needed to, as Gandhi said, “be that change.” Change had to start somewhere, and if patients were driving as far as 3 hours, one way, to see me, then I must be doing something right. That moment I knew that stepping out of the safety of a conventional practice was not only optional, it was necessary. Insurance companies often prove unreliable for people, especially if they in suffering from chronic pain. An insurance company may deny patients needed treatment, and I knew it was up to me to figure out how to make using yoga affordable and accessible as a physical therapist. It doesn’t mean that all therapists should abandon conventional practices though, it just means that for my type of practice, it was the better move. The good news is taking that risk turned out to be one of the best decisions I ever made. 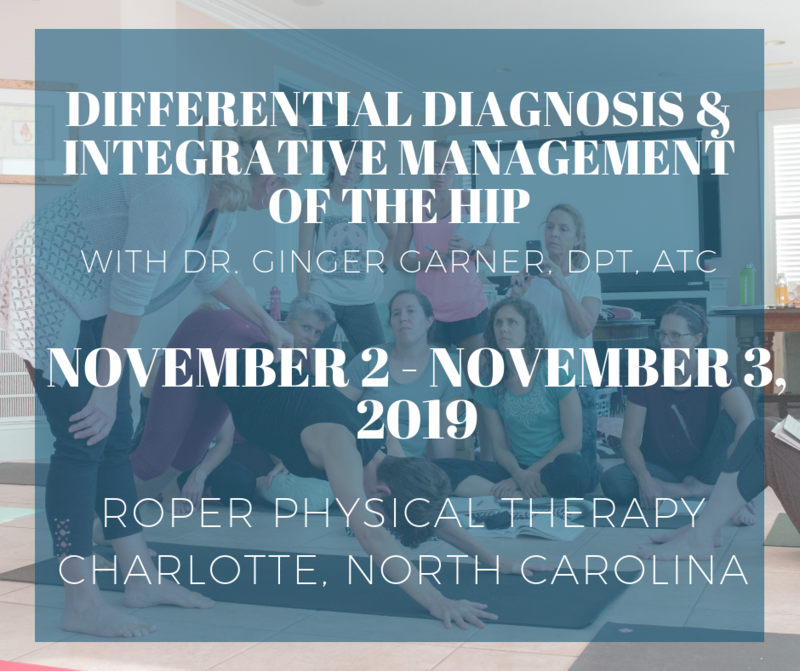 Taking the risk of being an “integrative physical therapist,” or as I like to call it, a “minimalist physical therapist,” has allowed me to reach more people and be a more effective physical therapist. Taking that risk also inspired me to start the first post-graduate program in using yoga as medicine in America, to try and give health care professionals a template for using yoga successfully in their practice and life. Yoga has massive implications for improving health care and its delivery in the US today. Especially given that health care has lost its moral compass, according to a recent poignant post by physician, Dr. Lissa Rankin, and that prominent physician Dr. Andrew Weil states in the documentary film Escape Fire, “We don’t have a health care system. We have a disease care system,” I would say the time is long overdue for embracing conservative methods of caring for one’s health. Use of integrative medicine in health care, like yoga, is a prime example. In Part Two, I will visit how yoga works in and as medicine, and how that affects your life and health. Previous Post: « Lady Gaga’s Hip Labral Tear: Are You At Risk for One? Yes, Ginger I am in, aligned with your thinking and resonate with the calling it minimalist medicine! We certainly need the avenue of evidence for efficacy and effectiveness for specific medical conditions. Thank you so much for stopping in to read – this post is especially personal for me. I also thank you for taking the time to comment on the post. We need more minimalist PT’s out there practicing integrative medicine! Best of luck to you Mary Anne! Thank you so much for writing this article. I too left everything. Literally… even left the country to take a break from the health care grind and on a quest to make yoga apart of my matrix. I love the idea of a minimalist physical therapist. I am on the cusp of re-entering the US and the PT world. I was having mixed feelings, but your article gives me hope that there are others like me out there. I just gotta find them. Thak s again. Thanks for your thoughtful comments Danielle! There are more of us – http://www.professionalyogatherapy.org – post-graduate training in yoga prescription for health care providers. Good luck, and I hope to meet you one day. Ginger, I am so glad I came across your site. I am an OT, CHT whom has been practicing yoga for personal benefits & recently had an ‘aha’ moment to begin integrating yoga into therapy. I know the benefits of yoga & know my pts could/would benefit. I am considering leaving everything as well! I would love to be able to speak with you! I am glad you found the site and the program. 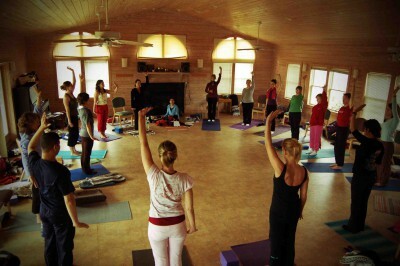 You can learn more at http://www.professionalyogatherapy.org. I started the program in 2001, but had been contemplating the idea for years before, based on what I saw in PT school and in healthcare. Feel free to email us at info@professionalyogatherapy.org or you can contact me directly via the contact form on this website. I look forward to hearing more from you and the OT perspective! Thanks for stopping in and taking the time to comment! I stumbled across your blog via Facebook and note that there are no recent comments…. I am so in line with your approach to Rx but I wanted to let you know that it is very possible to integrate yoga therapy into our work as manual physiotherapists. I am a physio with 38 years under my belt, taught Manual therapy courses in Québec for 25 years, was ( and still is ) an examiner for the Orthopaedic division of CPA, as well as a Chief Examiner for 7 years. Up until last December I was a co-owner of a private physiotherapy clinic and I too saw mostly clients with chronic conditions. I am still treating (although no longer managing a clinic) and I am now focusing on teaching only what I am passionate about – Fascia and manual therapy for the cranium. I love to integrate yoga as an active way to encourage our clients to move. If you’ve ever done courses with Diane Lee she is also a strong advocate of yoga as therapy. There’s more of us out there than you might think! Great to “meet” you Doreen! Yes, there are lots of PT’s out there using yoga – I started an organization 16 years ago to train licensed health care pros to use yoga in medicine and wellness care, so there are indeed LOTS of us out there now. Your practice history resonates with me as well, since I have spent most of my almost 20 years in practice seeing folks in chronic pain – hence, the integral role of medical therapeutic yoga. Hope to meet you someday! Thx for responding to me – looking forward to reading more of your blogs. Just read something yesterday about a sports physio debunking any kind of manual therapy or stretching – calling us dinosaurs for not keeping up to date with the pain science. I am very well aware of the literature on pain science and have done courses with Butler and Lorimer and I agree that there are some people who fit into that category. But all too often, I think physios use this as a cop-out, when with a little more effort and (dare I say!) creativity on their part, they might be able to finds the key (s) – it’s usually more than 1 key – to help out their clients instead of telling them simply – it’s all in your head and how you perceive it! I am curious – where is your practice located? I am in the Eastern US, on a little island, Emerald Isle, NC. You sound like a hoot Ginger! Love your response. Diane is a good friend of mine and I tend to get defensive when I hear stuff like that because I know how amazing and humble she is, always looking for evidence to confirm or deny her hypotheses. Let me know anytime you’re in the Montreal area – I’d love to meet up with you. Thanks Doreen! My friends say I am funny, but I just don’t see the “funny” in me. But I’ll take being a hoot as a compliment! I can always stand to work on my comedy repertoire in public speaking. 😉 Funny thing (okay, no pun intended there) – I was JUST in Montreal last weekend teaching at MISTY (Montreal International Symposium for Therapeutic Yoga)! Hope to be there again next year – so perhaps we can rendezvous? Yes that would be great! Let me know if and when. I am on the newsletter for this site. You have a second site? I’ll check it out. I was getting ready to go out to shop for a suit for my 23 year old son (he’s had the same one since his prom at age 16!). Not sure how you’ll take this but I felt “guided” to keep in contact with you and that there was potential for us to share our information to further both of our growth – I don’t usually do this kind of thing to “strangers” but I’ve learned to follow my guidance – it doesn’t steer me wrong. So there it is – I’ve reached out! For what, I’m not sure but we’ll see where it takes us.